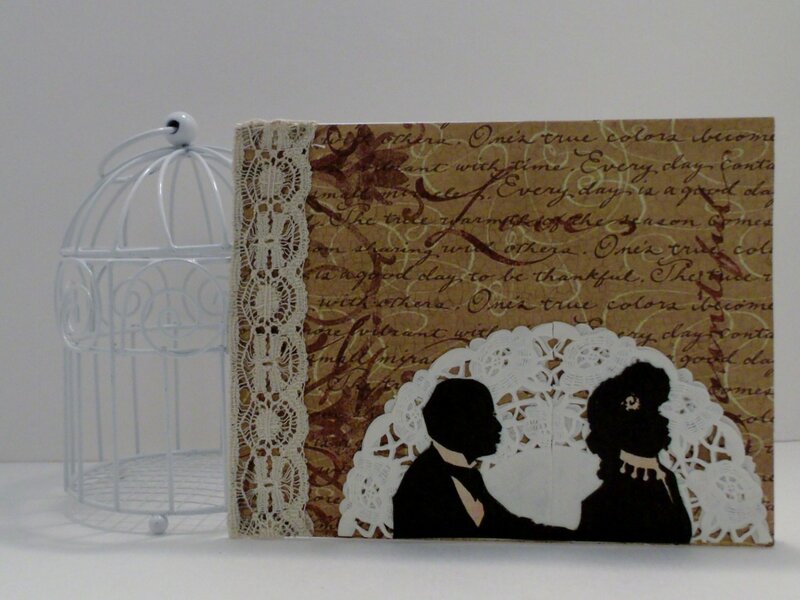 One Handmade Mixed Media Greeting Card featuring a Lover's Silhouette. It has a French theme decorated with vintage lace and a variety of papers. 5 x 7 inches, blank inside to personalize your message and comes with an envelope.